&quot;these are a few of my favourite things&quot; Day 2: Favourite nail polish! "these are a few of my favourite things" Day 2: Favourite nail polish! Here we have day 2 of the "these are a few of my favourite things" nail art challenge hosted by ooh la la polish. 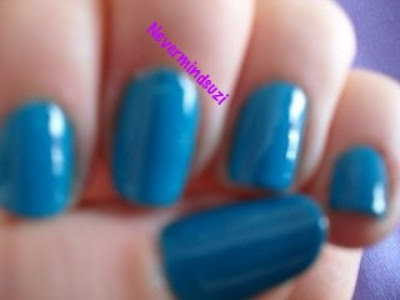 Day 2: Favourite nail Polish! For me Warwick Way is just the perfect balance of teal, green and blue. A bright colour without being in your face. *Not sure why these are blurred but I included them anyway. This is a gorgeous blue on you! I have a few Nails Inc. polishes and really like them. I may have to add this one to my wishlist :) It's so bright & shiny! Cool Color! Did you finish your mini size? I love the color. You know, I don't have a single Nails Inc polish. Hmmm, I might need to correct that problem. I love that gorgeous saturated blue. So pretty!